Colombia and Uruguay have both made it through the first round of matches in this year’s World Cup. The two South American countries will soon face off in the hopes of making it from the Round of 16 onto the quarter finals. Both teams have had plenty of time to chew over their last matches… especially Uruguay, which is down Luis Suarez due to him chewing on an Italian’s shoulder. We’re crossing our fingers that neither team gets too mouthy during this match. We just hope that neither Colombia nor Brazil has bitten off more than it can chew (can you tell we’re enjoying ourselves?). Anyway, enough of the terrible puns (sorry about that), and onto this round of the World Cup of Cars: Columbia vs. Uruguay. So, playing for Colombia, we have the Chevy Spark. 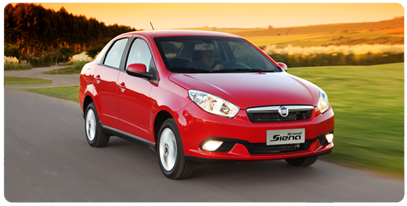 In its previous match, the Spark met Greece’s popular Opel Corsa, and things didn’t look good for the tiny Chevrolet. But we’ve brought it back for this round because, well, we’re quite drawn to it and we didn’t fancy the other options for Colombia. So, what’s up with this Spark? Well, it’s small, cute, and comes in unusual colors like bright green and lavender. Here in the US, the Spark’s MSRP is just $12,170, which is just about as low as you can get for a new car these days. Of course, for that price you don’t get a whole lot of features, but moving up the trim levels you’ll have options like Chevy’s MyLink radio with SiriusXM, a leather-wrapped steering wheel, and even heated seats. 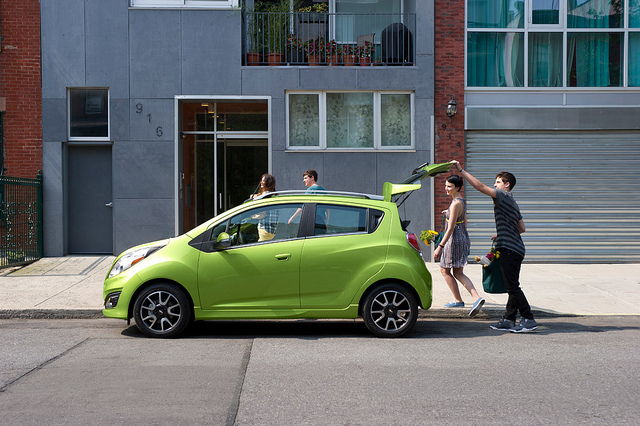 In all Spark models, you get up to 31.2 cubic feet of cargo space plus 10 airbags. And the most you’ll pay for a new Spark is $16,385. We love you, Google Translate. No, we don’t really want to mount this, or any other version of the Siena, but we appreciate you asking. And that is why, in spite of the fact that we practically fell asleep while researching the Siena, we have to go with it and Uruguay as our winners of this round. Now we just need to see if the Uruguayans can do the same without, as the Huffington Post called him, Chewy Luis and the Blues. Watch Colombia vs. Uruguay today at 4pm on ABC.